The wait is over. Ark Hyperion has arrived to the Andromeda Galaxy and eager explorers are setting out to find new homes in exotic and alien worlds. 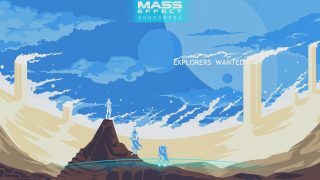 One of them is artist Lazare Gvimradze, who has made several amazing exploration-themed Mass Effect: Andromeda posters in preparation for the game's release. We took a moment to talk to Lazare about his creations, Mass Effect: Andromeda, and exploration. 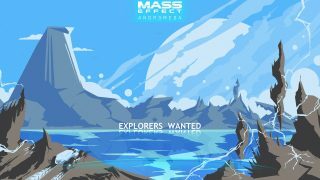 What was it that first inspired you to create Mass Effect: Andromeda Explorers Wanted posters? When Andromeda was first announced and the general outline of the game became clear to the public, it immediately felt like the ultimate spiritual successor to ME1 and its novel feeling of discovery. I love the series for all the same reasons many fans do - the engaging story, the tonal dexterity in the wonderful character arcs, and the rich lore - but nothing quite gets me as much as that feeling of first planting boots on an uncharted world. The first time I vaulted over a mountain peak in the clumsy but lovable Mako (I will defend that rover till the end of times) and spotted an ancient pyramid jutting out from the middle of a frozen alien lake was just incomparably cool. 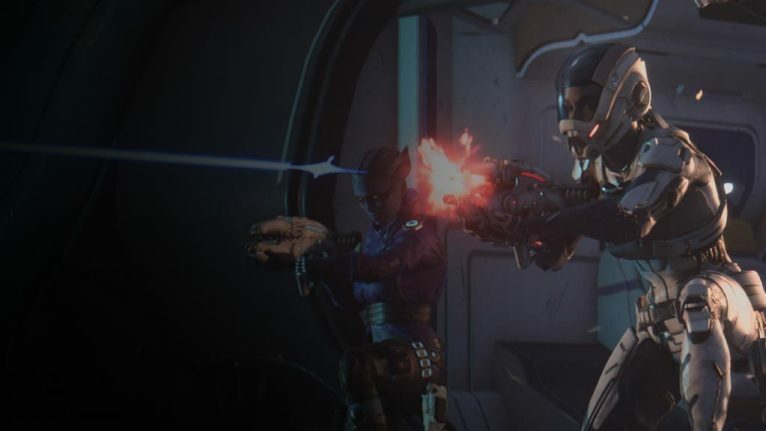 The 2nd and the 3rd games didn't really follow through with the theme - not that they necessarily had to, since more pressing matters were in need of addressing/killing - but it made Andromeda's reveal that much sweeter. The posters I've done were partially inspired by the assets released during marketing, like the voiceover contest art that first sparked the tagline itself. 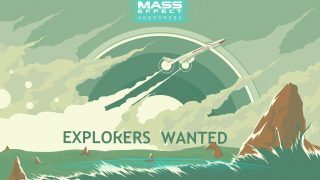 I really dug those and wanted to expand on the idea by harkening back to vintage space tourism ads, an idea further validated by the Andromeda Initiative briefings. 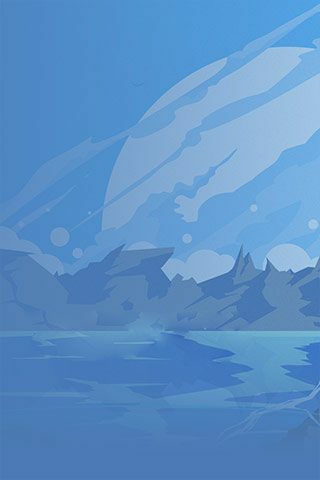 It all felt like a cool space expedition program in need of its own propaganda art, and I was only happy to, pardon the pun, explore the possibilities. How long does it usually take you to complete a piece? Anywhere from a few hours to several days. It depends on the stylistic approach I take and whether or not I am happy enough with the final result to forego multiple iterations. Inspiration always takes precedence as the starting point, so unless I'm in love with the subject matter I may take even longer and possibly muck it up in the end. Plus, like many artists I know of, I often struggle between knowing when to obsess over a piece and when to stop myself and call it done. With the Explorers Wanted series it was a tiny bit easier to walk that line - choosing to marry Mass Effect with vintage space art meant I had a LOT of reference material to work with, so I would usually pick out a few vague "targets", settle on a limited palette, throw down colors into rough compositions, then select the one I liked most and work on fleshing that out. The results were simple in a satisfying way - I wanted them to FEEL like throwaway prints that could dot the Hyperion's mess hall without feeling too out-of-place. Most of them took no longer than around six hours in total. 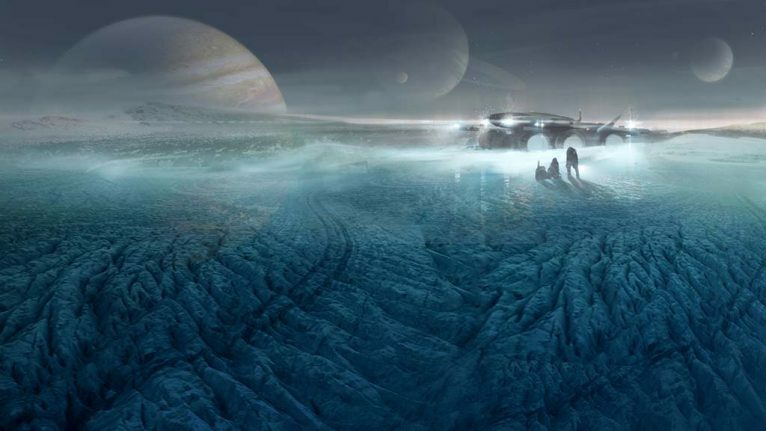 Which planet in Mass Effect: Andromeda do you look forward to exploring the most? I am still a couple of days away from playing the game, so it's really hard to answer that! I am buzzing with excitement so I'm flying the Tempest down to any slightly interesting-looking rock or planetary pebble formation that I'm let on. I watched every trailer and briefing and I loved the look of every single Golden World so far. I am particularly fond of Eos - it may sound dull, but exploring sprawling alien deserts with pretty planetary backdrops is my ultimate Mass Effect fantasy. I will probably have to upgrade my Nomad's life support before I do that, though - I might just get carried away with the sightseeing and cook my team alive. 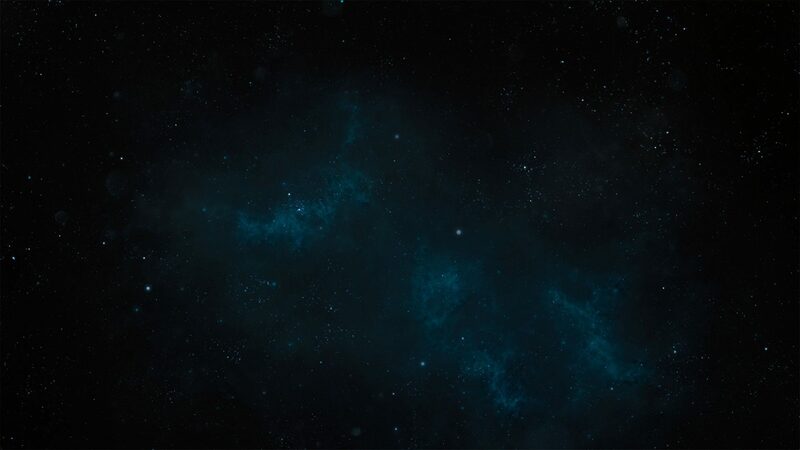 Join in on the spirit of exploration and download these exclusive wallpapers from Lazare here. You can see more of his work on Facebook. Got any fan creations of your own? Share them with us on Twitter, Facebook, or Instagram.